Conducting business online as a retailer is not an easy undertaking. There are many aspects to consider such as marketing strategies and tactics. Online marketing is a comprehensive approach. This trend can be overwhelming to retailers, who often have their hands full with product development and design. It is important as a retailer to know the benefits of Retail Seo Campaigns. They are a critical part of online success. Brands and companies want to increase website traffic, convert site visitors to shoppers, increase orders, and so on. The benefits of retail SEO campaigns for example achieve just that and here are some more of the key advantages of running properly a Search Engine Optimization campaign for e-commerce websites. Retail SEO campaigns can expose a brand and company worldwide. This can open new markets, distribution deals, and open other opportunities up for the retailer. Being visible in the top of search results through SEO campaigns tends to give a retailer tremendous amount of authority (credibility). This can increase sales, keep customers loyal, and support distribution opportunities. The ROI on SEO campaigns for retail websites is hard to beat. SEO out-performs all other marketing tactics and strategies available for retailers. SEO is one of the only marketing tactics that allows a retailer to grow with the Internet. When ranking positions are achieved, with more traffic generated and more consumers going online, retailers grow automatically. Retailers that are ranked in search engines through SEO campaigns have mobile visibility. Given that the retailer has the proper website (Responsive Website Design), search rankings make the website visible on smart phones, tablets, and computers. Consumers convert from site visitors into shoppers at higher rates through SEO campaigns. 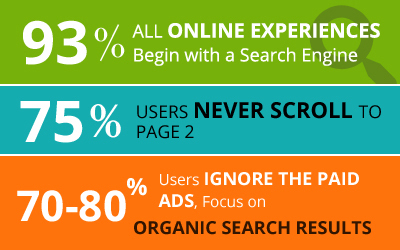 Consumers find websites in organic search results, which are much more trusted than paid ads. SEO campaigns are a sure way to dominate other retailers, regardless of size. SEO levels the playing field. It allows smaller and even start-ups to gain the online attention through organic search engine results. Retailers that wish to optimize their e-commerce websites and online stores can always work with experts and professionals. Experienced professionals can closely work with retailers to improve their online stores, conversion rates, website traffic, and even customer loyalty. The post Benefits Of Retail SEO Campaigns appeared first on Illumination Consulting.